B16, B17, B25 & B26. Door to garden and garage. Patio doors to the rear garden. Quality white porcelain suite featuring a wall mounted basin, WC with concealed cistern and stone resin shower tray complete with shower screen and thermostatically controlled shower. Polished chrome fittings throughout. Heated chrome towel rail. These spacious detached bungalow, features a superb kitchen-dining room and handy separate utility, which also offers access to the integral single garage. The living room is double aspect with French Doors providing access to the patio and rear garden. 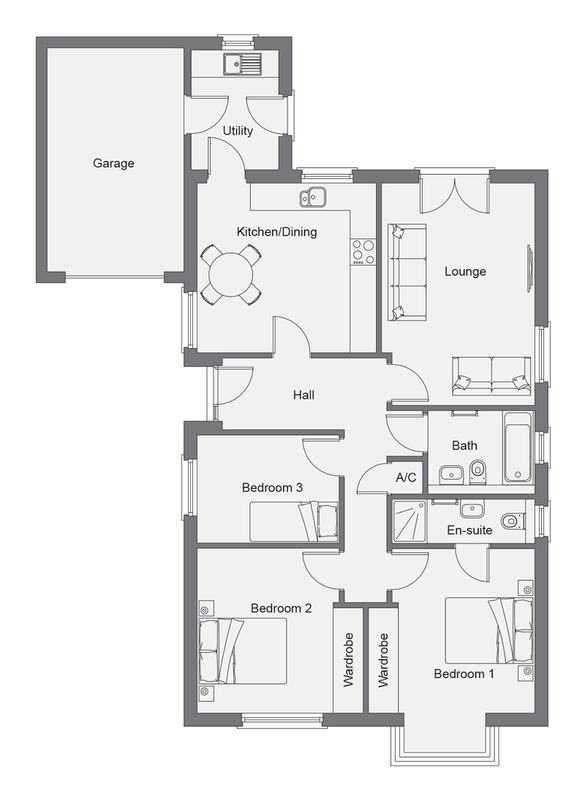 There are two double bedrooms both with fitted wardrobes; bedroom one also has its own en-suite shower room. There is a further single bedroom and a superb family bathroom. Within walking distance of the town centre, Auldyn Meadow is tucked away in a convenient location within easy access of the town centre and all local amenities. Ramsey is the Island’s second largest town and benefits from a wide range of facilities, including the popular parkland golf course, to the ten-pin bowling alley and new swimming pool. 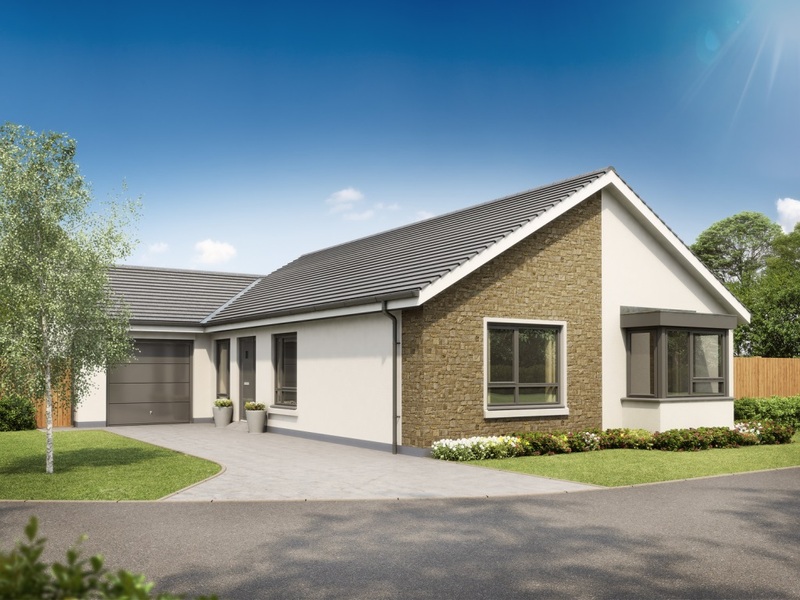 Surrounded by rolling farmland and with the Sulby River half a mile to the north, Auldyn Meadow is a charming development, ideally positioned to offer you easy access to everything the town has to offer. The excellent local primary school and grammar school are both within walking distance and Ramsey’s main shopping centre, the swimming pool and popular beach are just minutes away by car.